SAN DIEGO -- A pain specialist told colleagues they shouldn't be afraid of using botulinum toxin A (Botox, other brands) injections to treat patients with migraines. "It is a neurotoxin, but it's in such a dilute form that it's very difficult to hurt someone with it. If you get a modicum of training, you can inject it," said F. Michael Ferrante, MD, director of the University of California at Los Angeles Comprehensive Pain Center, in a presentation at the American Society of Regional Anesthesia's Pain Medicine meeting here. Ferrante enthusiastically supports the use of botulinum toxin type A for migraine. "It truly does work," he said. "I don't understand why there was such resistance to it in the neurology literature for years. People do better." Botox-type drugs work in the same way, Ferrante said. "You're putting in a toxin that will inhibit neurotransmitters from releasing, reducing nociceptive neuron activity and muscle spasm-associated pain." As for the effect on migraine, he pointed to a recent randomized, double-blind trial that shows treatment botulinum toxin type A "significantly reduced" health-related quality of life measures compared to placebo, with a high degree of statistical confidence. Make sure to follow guidelines regarding its use. "The patient has to have chronic migraine, and you need to have tried two classes of agents usually used for migraine," Ferrante said. "If you've got that, you too can inject for migraine." Be aware of the multiple types of botulinum toxin type A. In addition to Botox, Dysport and Xeomin are available. Xeomin is unique because it doesn't need to be refrigerated. Botulinum toxin type B (Myobloc) is also available to treat pain associated with cervical dystonia, but Ferrante cautions that it causes more botulism-type symptoms as the type A medications. Inject a very small amount of toxin around the cranium. "You're in essence doing a field block, and you don't have to have it in exactly the right spot," Ferrante said. "It will diffuse. That's what toxins do." Be prepared for return visits. Use of botulinum toxin for migraine typically requires more than one visit for effects to appear, Ferrante said. "You're going to need to inject the person more than once. We don't know why that occurs, but that what appears to be what you have to do. Inject them at least twice." Then be prepared for the possibility of regular – or very irregular -- return visits. "I find that people divide themselves into two groups -- those who do very well, and those who keep coming back," he said. "Some people come back every three months, and others seem to come back after long periods of time. The reasons for that are obscure." Try alternatives if antibodies appear. 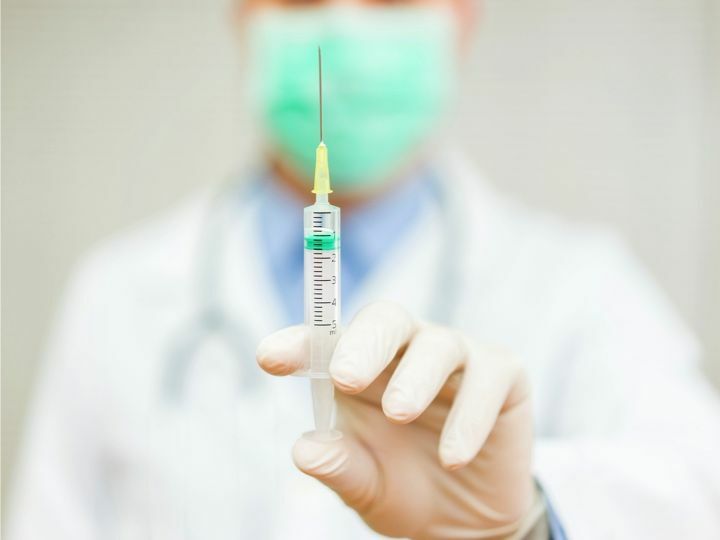 Patients may develop resistance to botulinum toxins over time as antibodies appear, although it's rare in patients on a once-every-three-months injection schedule. Ferrante doesn't recommend expensive antibody tests -- "don't bother" -- but instead advises physicians to simply try the sister medications. "You have three other products you can use." You may not need to worry about atrophy. "I've had people I've done for 5 years, and I have no evidence of atrophy," Ferrante said. As for other conditions, Ferrante said botulinum toxin can be useful to treat piriformis syndrome. "A lot of people don't think it exists. I think it exists. I see too much of it to not think it exists." What about myofacial pain, which Ferrante says affects just about everyone? "In 99% of people, it's a secondary phenomenon due to something upstream, some irritation of some structure," he said. "If you can treat the primary process, the myofacial pain goes away. The only way you can get Botox to work in myofacial pain is if it's the 1%, the primary cause."